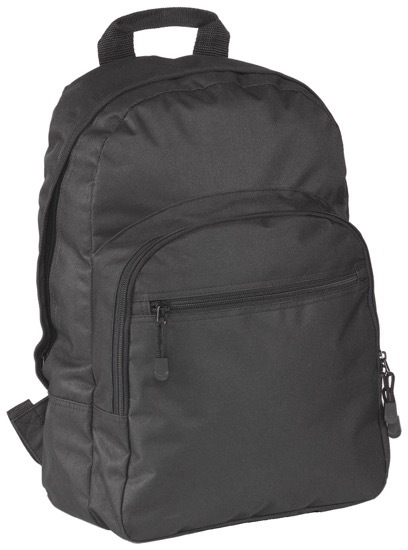 Description: Durable promotional backpack made from REACH compliant* 300x250d polyester. Includes a zipped front slip pocket, two zipped compartments and carry handle to top of bag and adjustable shoulder straps. **** All of our bags are torque tested for maximum loads. The maximum bag load is based either on BOTH shoulder straps being used, or the top carry handle. 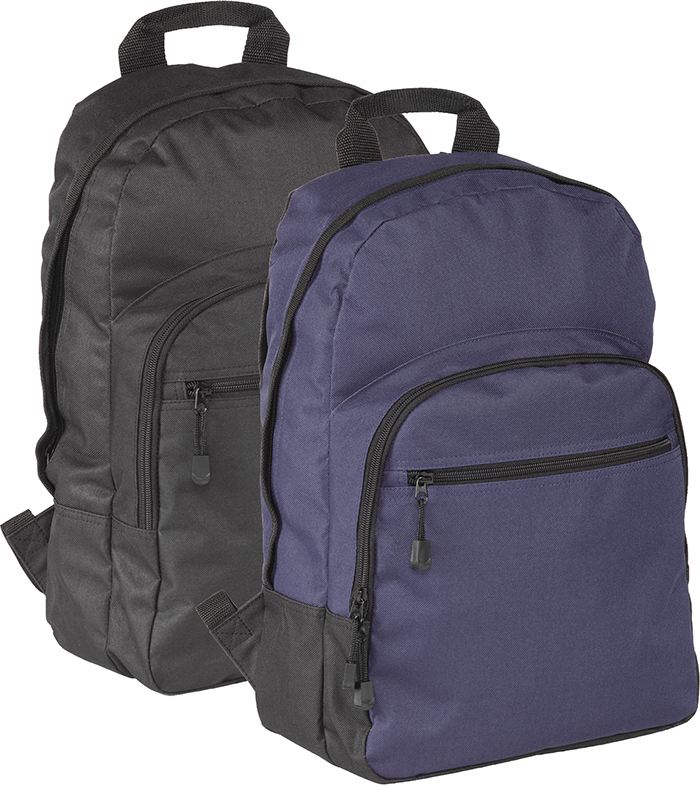 As our products are intended as a promotional item, we do not recommend any of our backpack products are used in schools, colleges or universities, as they will tend to be overloaded.